I managed to sneak in some writing time Friday, which is noteworthy because my writing weekends are gone for a while (to attend a friend’s wedding and to work the Connecticut Renaissance Faire — in the Storied Threads tent for a couple days and as a street performer with my friend Scott). I picked up on my Halloween movie watching where I left off last week and started the day with The Strangers, one of my favorite modern horror movies. It’s the kind of movie that unnerves me despite repeated viewings, much like its spiritual kin Halloween. The Strangers also emulates Halloween in that it uses sound to superb effect, though in a different way. Whereas Halloween used its soundtrack to enhance the scares, The Stranger uses silence to ratchet up the tension. There are long stretches of near or total silence, punctuated by bursts of sound that are enough to make you jump. One of the best moments in the movie requires a decent surround sound system to fully appreciate. One of the masked killers is walking around outside the house, and if you’re in the middle of a surround sound home theater system, you get to hear the footsteps circling around behind you — and trust me, if you’re alone in the house while watching that moment, it’s doubly creepy. 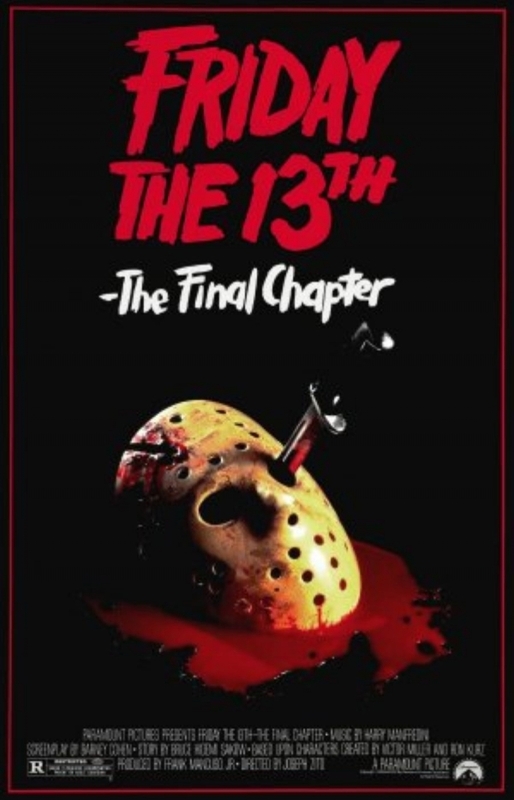 I switched gears a little after that, moving from slow-burn horror on to masked killer mayhem (I like to keep my Halloween movie-fest thematically linked) in the form of Friday the 13th: The Final Chapter and Friday the 13th: A New Beginning. It’s an interesting transition between the first three films in the series and the next three. The original trilogy, made between 1980 and 1984, held onto the horror film aesthetic of the 1970s. They had a more raw, gritty feel that made them more effective than the franchise’s later entries, which had a more vivid, slicker 1980s vibe. A New Beginning really suffers from this, and that’s one of the reasons it’s one of the weakest chapters in the series (I say this knowing full well none of the movies are truly great, or even good). For fans of the slasher genre, the Friday the 13th series is all about the spectacular kill scenes, and A New Beginning falls down hard there; the kill scenes feel timid and restrained compared. Add to that some of the worst acting in the franchise, flat humor, and TV-movie cinematography, and you’ve got a total package that makes one wonder if this movie was cranked out by the studio simply to keep the franchise alive while they thought of something better to do with it.